As digital disruptors proliferate across Africa, there are still hurdles in the way of every consumer enjoying the full potential of an ‘e-market’ environment. Innovative use of mobile technology can overcome these. These are exciting times for consumers: modern technology is bringing unprecedented levels of transaction and interaction convenience, reducing the costs of doing business and making financial services more broadly accessible. In Kenya, one of the continent’s top innovation hotspots, digital disruptors are bringing to market a plethora of new shopping, trading and interaction platforms across every sector from health and agriculture to insurance and retail. While these new platforms and services bring enticing new products and services to market, certain stumbling blocks still remain to prevent scores of Kenyan consumers from fully enjoying the goods and services on offer in the digital realm. One such stumbling block is the fact that many people do not yet have smartphones, computers or internet access. Another is Kenya’s lack of a standardised naming and numbering convention for streets, properties, buildings and parcels of land. Kenya’s historically informal physical address system, in which many cities and towns lack formal street names and building numbers, has challenged deliveries from e-commerce sites and even stood in the way of consumers securing financial services, because they lack proof of residence. Consumers purchasing complex insurance policies or signing legal documents still have to travel to a physical office to sign documents, or collect copies of the document or terms of conditions of the contract, since with no address, these documents cannot be mailed to them. While the Communications Authority of Kenya (CA) the regulatory authority for the ICT industry in Kenya, is pushing forward on a National Addressing System (NAS) framework that provides for the naming or numbering to facilitate the identification and location properties, progress in this regard remains slow. 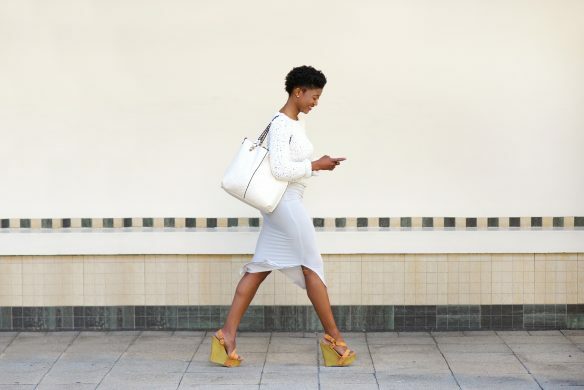 In the meantime, consumers whose only connection to the digital world is via a mobile device – sometimes only a feature phone – could remain excluded from e-commerce and a multitude of convenient digital services. However, by harnessing the ubiquity of the mobile phone, and turning the device itself into the consumer’s ‘physical address’, organisations can expand the reach of their products and services to consumers who have no formal address, or who live in remote rural areas. Mobile devices can be used for registering for services, authorising transactions and transferring payments, but they can also be used for the delivery of contractual agreements and terms and conditions – even if the consumer lacks a smartphone or email address. Important terms and contract agreements can be pushed to users’ mobile phones via a USSD session, allowing the customer to agree to the conditions of a contract or receive important supporting information wherever they are. 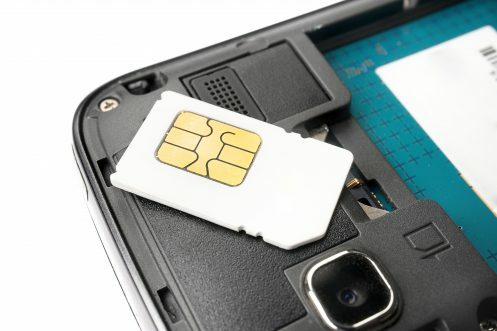 These secure Unstructured Supplementary Service Data (USSD) sessions make crucial information available to consumers even if they do not have access to a data connection. This means consumers no longer have to travel at some expense to an office where the documents are kept; but also that they have access to an expanded range of products and services, and their rights as consumers are protected. Myriad Connect’s innovative mobile solutions allow organisations to support out of band authentication, SIM swap detection, and authorisation of direct debit payments and cheque payments on any mobile device. Myriad Connect’s session-based service sends an advanced push notification to open up a secure conversation between the enterprise and its customer, providing the universal reach of SMS with the added advantage of a clear audit trail. With the consumer’s identity securely verified, both the service provider and the customer are protected, while the fact that information is made available remotely to any mobile device means customers benefit from greater convenience and expanded access to digital services.